Hand & Footprints are great to create a unique memory for your babies or whole family. Your choices include tiles, plates, clocks, mugs, vases or whatever item you may choose. Our friendly staff will help assist you and advise you during your visit. We host evenings from Monday to Friday by appointment only, with a minimum of 7 people attending. Your welcome to bring a bottle and nibbles. Perfect for a mums night out or Hen party. Please ring the studio for details. 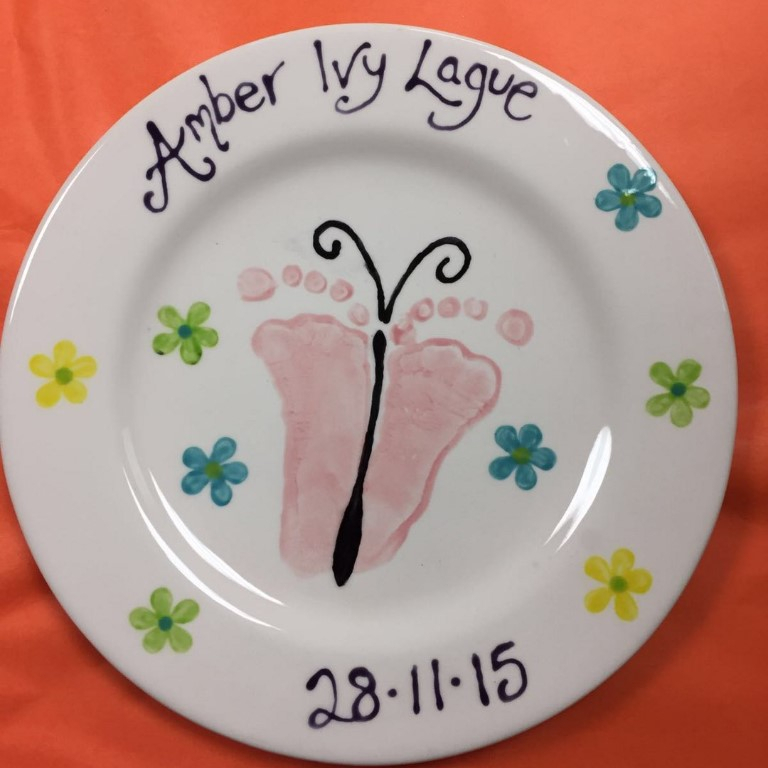 Not only do we offer pottery painting, but we offer decoupage and foam clay, which is great for all ages. Decoupage is a craft which consists of ripping paper and sticking it to an object, and varnishing to create a smooth finish. Choices consist of letters, animals and more. 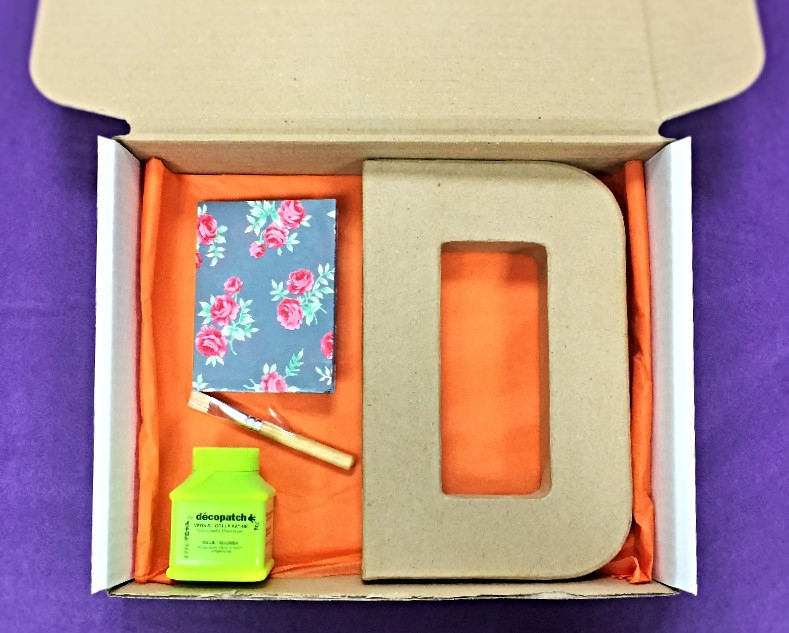 We offer decoupage gift boxes to takeaway, a perfect present! We also offer gift vouchers to be spent in store. Or why not decorate your own perfect gift.